After 25 years on air, Oprah Winfrey ends her show in two months from now. 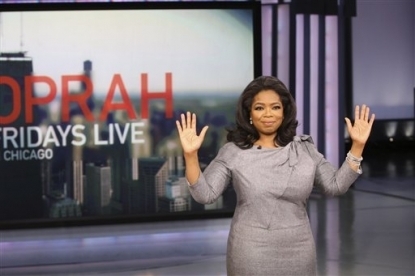 The final episode of “Oprah Winfrey Show” will be broadcasted on May 25, as the famous television host announced. “I love this show, and I love it enough to know when it’s time to say goodbye. Twenty-five years feels right in my bones, and it feels right in my spirit – it’s the perfect number, the exact right time.” she said. Oprah’s talk-show, which is currently syndicated in 145 states, transformed her not only into a star but also into a cultural and social phenomenon. A while ago in November 2009, Oprah announced that she plans to end the running of the show, when it’s going to celebrate 25 years from the first time it was aired. Since 1986, Oprah Winfrey show offered her audience memorable moments, memorable interviews with memorable guests including Bob Hope, Liberace, Tom Cruise or Michael Jackson. Over 24 seasons she won thousands of loyal fans, appreciation and recognition. The Oprah Winfrey Show’s open atmosphere and bare-faced conversation gave another perspective to the talk show genre and made Winfrey one of the most influential television personalities in the US. Also recently she was declared the richest black woman in the world. Ending her show, doesn’t mean the end of her career. She owns a cable network, a satellite radio and also several books and magazines. Regarding her remaining shows Winfrey promised to work together with her production team in making them all spectacular, joyful and memorable.